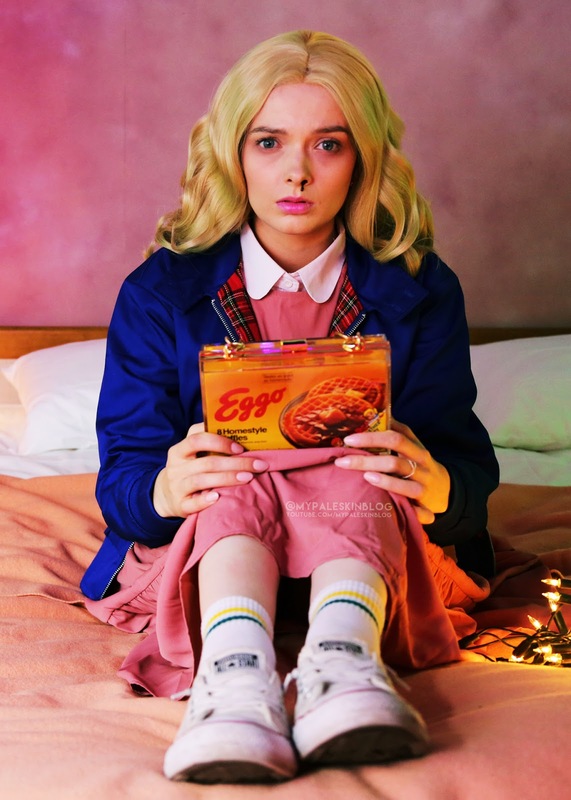 Anyone else as obsessed with Stranger Things as me? YES? Well then this is the Tutorial for you! 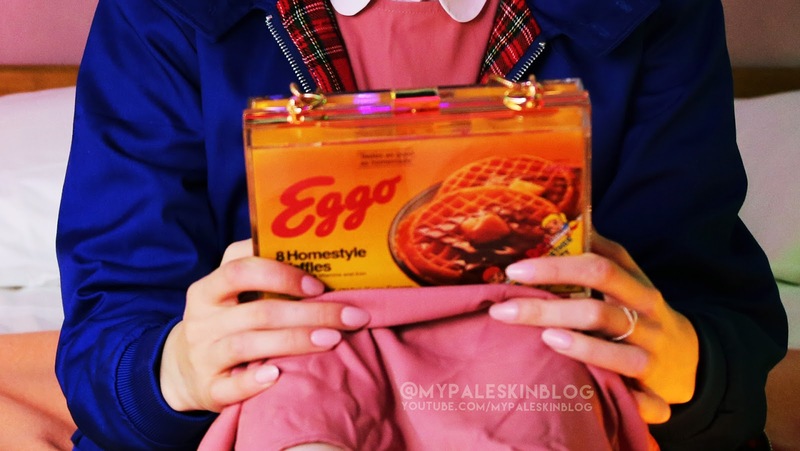 I wanted to take this costume to the next level, so custom made an Eggo handbag to go with it. 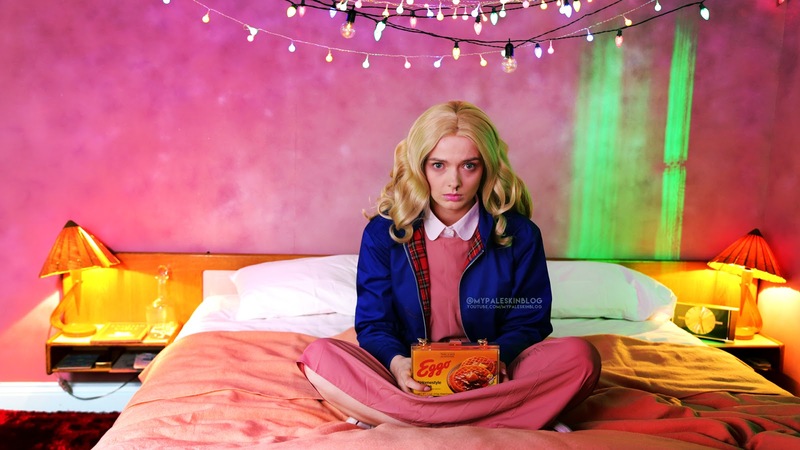 I feel like Eleven would love it, and I do too! It's super easy to do, and I've actually been wearing the handbag as an everyday throw on my shoulder kinda bag and been getting the most insane compliments on it - people can't believe I made it! I suppose it's the glossy acrylic box that does that? The bag it's self is a super cheap acrylic handbag I purchased on eBay HERE for less than £10!! I then roped in my ever patient and talented BF to help make a template that fit the exact measurements of the bag. It's so simple to do, just download and print out the PDF we created HERE, cut it out carefully along the outside, fold and pop into the bag! Secure on the inside with a touch of scotch tape and you'll be ready to go before you can even say demogorgon! This is so good! SO good - and simple - fair play to you and your fella, great job all round! 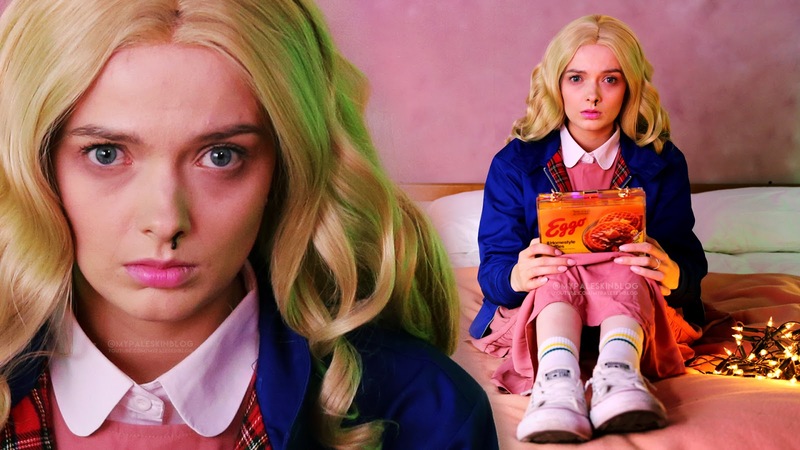 Oh wow, totally nailed it :-D Love Stranger Things, soooooo looking forward to season 2. 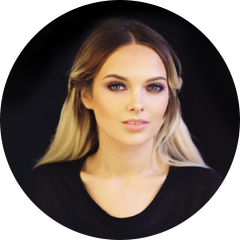 You can consult with our skin experts.. I am really impressed to this post its all information is really helpful for me and other users. What a great article! I found this article really insightful I particularly like the section that talks about Men's Clothing and it is a lot less then what people think. You are so cool! I do not believe I've read through anything like this before. So nice to find another person with unique thoughts on this subject. Seriously.. many thanks for starting this up. This website is something that is required on the internet, someone with some originality! Escorts Service in Dubai.Provide Pakistani , Indian, Turkish, Arab Call girls in Dubai.NO 1 Escorts Services Provider In UAE. ATTENTION PLEASE, Am so glad expressing my profound gratitude to a man that is so concerned about other people's well being. I was suffering from (HERPES SIMPLEX VIRUS) over 2years, i have spent thousands of dollars in buying expensive drugs and visiting several hospitals in different countries, i was really in sevael pain "until" one glorious morning, i read about Dr.Aziza on the internet on how he had helped and cured so many people suffering from (HERPES 1$2, (CANCER), (HIV/AIDS), (ALZHEIMER),(FIBROID), (ENLARGED PROSTATE), (HEMORRHOIDS' PILE) and (HEART DISEASE) ETC. So i contacted him through this Email: drazizahealthcare@gmail.com and i shared my problems with him, he gave me the healing procedure and i followed them. five(5) days after he told me to go for a medical test, behold the result was negative, now am (HERPES SIMPLEX VIRUS) free. I just want to use this platform to thank Dr.Aziza for curing me from that deadly virus and also for exposing his herbal cure to the world, please you can as well contact him at drazizahealthcare@gmail.com (or) visit his website https://drazizahealthcare.wordpress.com for solutions to your health problems...Thanks.